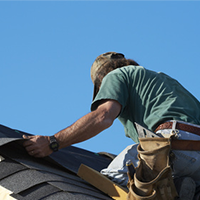 Reroofing is the installation of a new roof on an existing home or building. If your roof, or the roof of a home you’re considering purchasing, is showing its age and is in poor condition (frequent leaks, excessive broken tile, deteriorating underlayment, brittle/curling shingles, etc.) then you may need to consider a reroof. We also have customers who have chosen to reroof for aesthetic purposes. 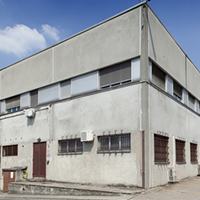 The process involved in a reroof depends on the roof system in place. We’ve briefly outlined the reroof process below for the most common types of roof systems in the Phoenix area. Please note that if you’re considering changing the type of roof system, removing shingles and installing tile for example, a structural engineer may need to inspect the home to determine whether the existing framing can handle the weight of the new roof system. Please feel free to contact us for more details. Shingle Reroofing - What's Involved? 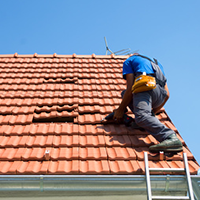 Tile Reroofing - What's Involved? Flat Roof Reroofing - What's Involved? We can overlay existing shingles if the 3-tab shingles are in fair condition (no curling etc) and there is only one layer in place. Alternatively, tear off is necessary if there is more than one layer in place, or if the existing shingles are in poor condition. Wood can be replaced, if necessary, after the tear off is complete. We then install new felt and new shingles. More often than not, the cause behind issues with a tile roof, concrete or clay, is the underlayment material beneath the tile. The length of time the underlayment will last depends on type and quality of material used originally, and how well it was installed. 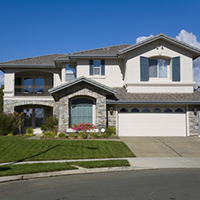 A typical underlayment will last anywhere from 10-20 years on a concrete or clay tile roof. If the underlayment is in poor condition, it can be replaced. We can either pull the existing tile and set it aside to relay later, or we can remove it all and haul it away, and install new underlayment and new tile. 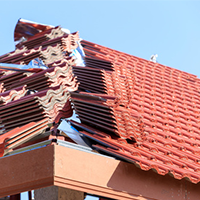 It’s important to note that breakage will occur when pulling roof tiles and setting aside; the existing tile may no longer be manufactured, and/or the color (even if the same color) may not match exactly due to weathering of the tile on your home. We do have a large bone-yard of various types and colors of tile, both discontinued and currently manufactured, but we cannot guarantee finding a perfect match. However, we will match it as closely as possible and try to hide the new tile in an area of the roof that is not visible from the ground. This would need to be determined upon inspection. Please note that with clay, depending on the type of tile (soft or hard clay) and the installation method used (nailed, mudded etc), it may not be possible to save much of the existing tile. This will be determined upon inspection. First we remove the existing roofing materials, down to the plywood. During tear off we determine whether the wood needs to be replaced. If the current wood can be used, we then clean and prep the deck before we install the new roofing material. 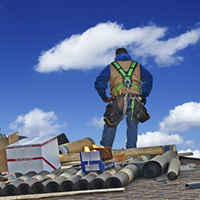 If you’re looking for roofing companies in Scottsdale, visit the Arizona Registrar of Contractors to carry out a contractor search to verify that contractor you’re considering has a current license in good standing with the AZ ROC. 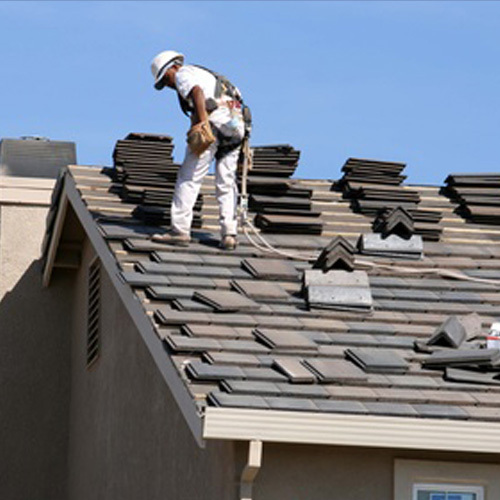 Lifetime Roof Systems Inc is a bonded, licensed and insured roofing company in Tempe, AZ. We provide comprehensive roofing services (new roofs, reroofs, maintenance, & repairs) in Apache Junction, Chandler, Gilbert, Glendale, Mesa, Peoria, Phoenix, Queen Creek, Scottsdale, Sun Lakes, Tempe, & other Metro PHX communities. Our roofers specialize in new roof installation, reroofing, roof maintenance, and roof repairs for residential and commercial buildings. Bonded and Insured Member of the Arizona Roofing Contractors Association. © 2014 - 2019 Lifetime Roof Systems, Inc. All Rights Reserved.